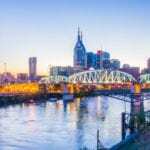 NASHVILLE, TN — At The Besties 2017, hosted by Best Buddies Tennessee, Nashville-based financial services company Advance Financial was presented with the Employer of the Year 2017 award for its support of and participation in the Best Buddies Jobs program. Advance Financial employee, and program participant, Jarrod Stahl was also presented with the Employee of the Year 2017 award. Advance Financial joined the Jobs Program in 2016 and created the records management specialist position for Jarrod. As a member of the finance department, he works daily on compiling Excel spreadsheets, managing records and completing quality assessment tasks. In his role Jarrod continues to express a strong desire to learn more about new products and processes within the department. 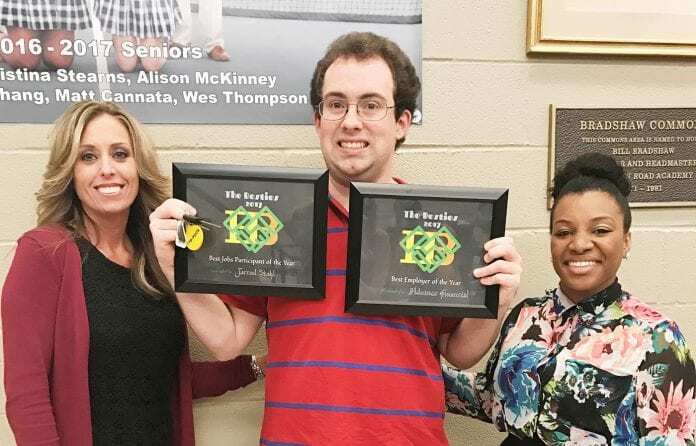 “We are so proud of Jarrod’s bravery, full-time work schedule, honesty and loyalty to his position – a position he believes could be a career, just like his dad has,” said Laura Berry, Jobs Program supervisor for Best Buddies Tennessee. At Advance Financial, supporting the community is an essential part of the company’s mission. Not only was the company enthusiastic about embracing Jarrod’s strengths and helping him grow his skills, but everyone at company headquarters in Nashville rallied behind him for the 2016 Best Buddies Friendship Walk. The company organized several creative fundraising campaigns and created the largest corporate team in the history of Best Buddies Tennessee. The Besties is the annual awards ceremony celebrating the many partnerships of Best Buddies Tennessee. The ceremony spotlights the schools, buddy pairs, ambassadors, students, advisors, employers, community partners and jobs participants who work with the organization each year. The 2017 event was hosted at Franklin Road Academy.